ABU DHABI - Qatar foiled Japan’s bid for a record-extending fifth Asian Cup title on Friday, winning the tournament for the first time in a 3-1 upset. Golden Boot winner and tournament MVP Almoez Ali scored an early opener before Abdelaziz Hatim added a second as Felix Sanchez’s side stunned Japan by taking a two-goal lead into halftime. Takumi Minamino pulled a goal back for Japan after the break, but Akram Hassan Afif sealed the victory from the spot seven minutes from time after Japan captain Maya Yoshida was penalized for a handball. Japan went into the showpiece match at Zayed Sports City Stadium as the strong favorite after routing fellow heavyweight Iran 3-0 in the semifinals. But after conceding two spectacular first-half goals, the four-time champions struggled to break down a Qatari defense that had yet to concede a goal leading into the final. Japan coach Hajime Moriyasu made just one change to his starting 11 from the semifinal, bringing in Tsukasa Shiotani as a holding midfielder for the injured Wataru Endo. Following a bright start, the Samurai Blue found themselves behind in the 12th minute when Sudanese-born striker Ali scored with an acrobatic bicycle kick that he teed up off his own boot. With his ninth goal in the United Arab Emirates, the 22-year-old set a new Asian Cup record, eclipsing the eight scored by Iranian great Ali Daei in the 1996 edition. Hatim doubled the lead 15 minutes later with a superb strike from outside the box, curling a left-footed shot around diving Japanese ‘keeper Shuichi Gonda. Japan avoided going three goals down less than 10 minutes before the break when Hasan Al Haydos hit the post from the left of the six-yard box. The Samurai Blue ramped up the pressure after the break, with Minamino and Takehiro Tomiyasu threatening inside the area, but the favorites were again lucky to avoid conceding a third when a Qatari counterattack ended with Hatim firing over the bar from close range. “It’s a shame we couldn’t win the final but I’m proud of what the players have achieved,” Moriyasu said. “The result just shows that our opponents were the stronger side. 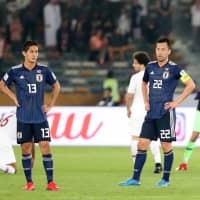 Japan captain Maya Yoshida said his team’s loss to Qatar and failure to gain a fifth title was partly down to a lack of focus. “We let our guard down, thinking we could win if we kept riding the momentum we had. But we weren’t disciplined and didn’t pull ourselves together,” the Southampton defender said after the match. Japan had won all four of its previous appearances in the final, but failed to come from behind against Qatar. A member of the team that captured the 2011 Asian Cup crown, Yoshida said Japan lacked preparation at this tournament despite having more time to get in shape for the final. 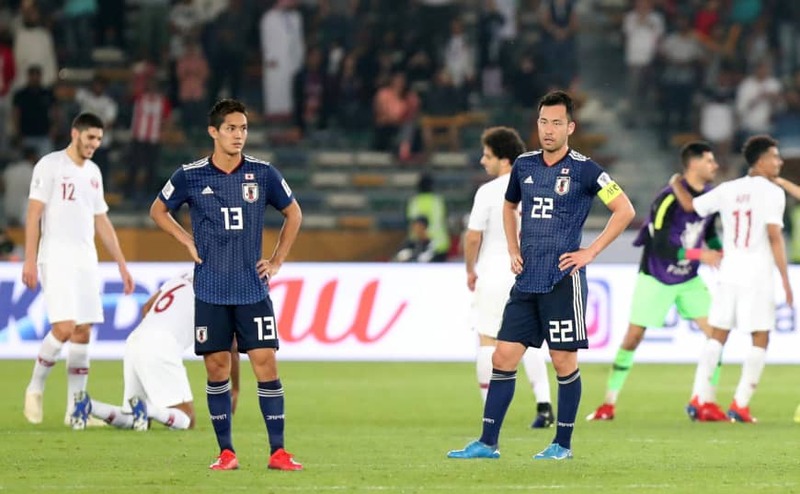 Qatar, the host of the 2022 FIFA World Cup, had only two days after its semifinal against United Arab Emirates, while Japan had three days to prepare for the match following its triumph over Iran.